After serving in the U.S. Air Force, Michael Moses chose to continue serving the public by obtaining a Doctor of Chiropractic degree from Cleveland Chiropractic College in Los Angeles, CA. Dr. Moses has been a practicing chiropractor for over 19 years and co-founded Capitol Rehab in 1996 and NOVA Pain & Rehab in 2000. Dr. Moses is now the Clinical Director for Arlington Pain and Rehab where he currently practices. A pillar in his community, he is the team chiropractor for Galaxy DCA Touch Rugby and the Capitol Hill Running Club, and is partnered with the Virginia Chapter of Team in Training and the Marine Corps Marathon. 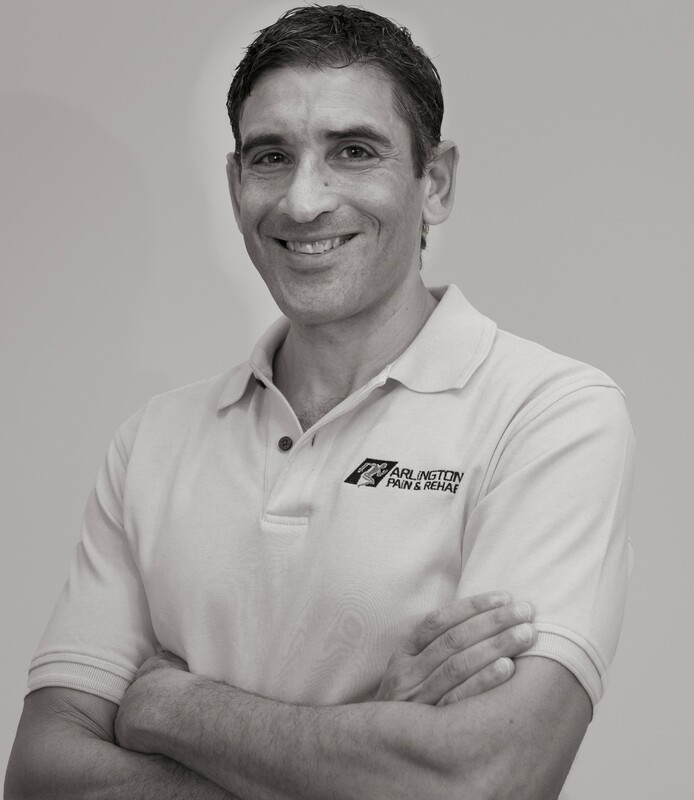 Dr. Moses has been the team chiropractor for the USA National Rugby 7s program, Washington Redskins cheerleading squad, Washington Wizards cheerleading squad, DC Roller Girls, US Marine Corps Cross Country Team, and chiropractor at the CrossFit Games (2009-2012). He has also lent his expertise to numerous rugby tournaments, track and field meets, weight lifting competitions, CrossFit throw downs. Dr. Moses has volunteered his time to multiple charitable organizations. Dr. Moses specializes in sports and recreational injuries with a focus on correlating patient lifestyle and occupation. He designs individual treatment and rehabilitation programs for each patient. Chiropractic manipulation, physiotherapy, and exercise programs are utilized to enhance recovery and performance, as well as an ergonomic assessment and nutritional education to prevent injury and apply a holistic approach to healing. Dr. Moses incorporates myofacial release, diversified, Thompson drop, activator, Kinesio taping, and Graston techniques along with stretching and strengthening to relieve pain and restore function. Having competed in 4 Ironman races, over 30 marathons, and dozens of other endurance races as well as the occasional “fun run,” Dr. Moses practices what he preaches when it comes to the health and well-being of patients. Dr. Moses provides chiropractic services to our patients at the Clarendon and Courthouse offices.